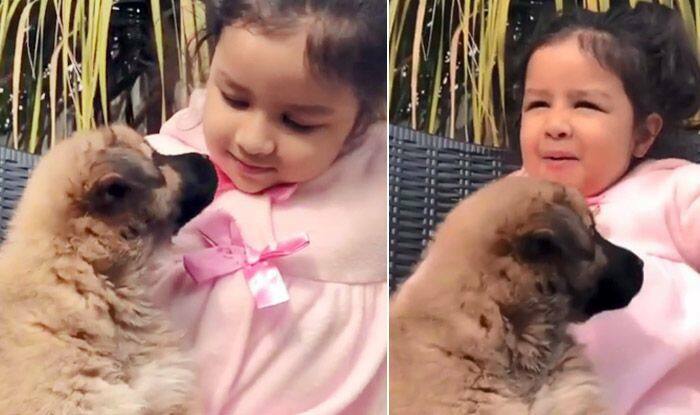 Former India skipper MS Dhoni's daughter Ziva is again giving us adorable moments. This time Ziva was spotted cuddling the pet. Former India skipper MS Dhoni’s daughter Ziva is again giving us adorable moments. This time Ziva was spotted cuddling the pet. Her expressions are a runaway winner and will melt your heart for sure. Ziva is currently in India, whereas his daddy MS Dhoni is on the tour of New Zealand. Former skipper Dhoni has been in ominous form lately bagging the Man of the Series for his consistent show in Australia. Ziva seems to be having fun with the pet in the absence of his father. In the past, Dhoni and Ziva have combined together to give fans a reason to cheer with their acts, be it with the laddoo or speaking Tamil. Meanwhile, Dhoni with his consistent show in Australia seems to have cemented his place in the World Cup squad. Earlier in the day, India beat New Zealand by eight wickets to take a 1-0 lead in the ongoing five-match ODI series. Kuldeep Yadav picked up a four-wicket haul to set it up for India as they bundled out the Kiwis for a paltry 157. Dhawan remained unbeaten on 75. Kohli was out for 45.